The size of our neocortex in comparison to animals is what distinguishes human beings. The size of ours of course being much larger. It is sometimes referred to as the Primate Brain and controls our so-called Executive Function. In simple words, the neocortex is what allows the ability to think. When you’re at your favorite coffee shop trying to decide whether to have a Vente Cappuccino or a Grande Latte, the neocortex is at work. It also allows you to navigate a traffic jam and find another route home. But perhaps its most important function is giving you the ability to suppress urges that would otherwise lead to an undesirable outcome. Your cortex remembers what is important to you, what you value, and helps you make decisions that are consistent with those values. 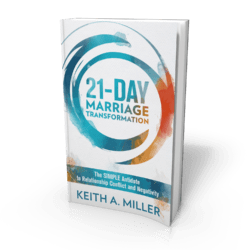 So if one of your core values is “stay married,” or “have a fulfilling relationship,” it is your best friend. But you are more than just a big neocortex walking around ordering cappuccinos and fulfilling your core values in life. This is good news since your neocortex, your very sense of “you,” couldn’t survive without more primitive parts of your brain running on autopilot. And yet it is these primitive parts of the brain that I see causing the most mayhem and destruction when a couple walks into my office. My goal is to help you make friends with your primitive brain! You can’t necessarily control it directly but you can trust and respect it. This will make life flow a lot easier for you. As I have learn to do this over the years, the behavior of others as well as my own makes a lot more sense to me. At the top of the spinal column sits a cluster of cells that I like to playfully refer to as my lizard. In comparative anatomy this section of the brain is called the Reptilian Brain since this section alone comprises most of the brain for reptiles and birds. When you know your lizard’s rules, you can learn to make it very happy. In turn, it will let you (your neocortex) run the show. This is a great thing! Your lizard makes you react to things before you even know you reacted. It performs most of the unconscious things your body does. Even while you’re sleeping, your reptilian brain stays awake, keeping watch over you once could say. It’s responsible for keeping your heart beating and your lungs breathing. When you were seven and tried to see if you would pass out if you held your breath forever, your lizard wouldn’t let you do it. Your lizard is also at work when you instinctively slam on your breaks to avoid a car running a red light. Our “thinking” neocortex is just too slow for the job, so it gets bypassed completely when the Reptile Brain is in an activated state. Your lizard brain can help keep your relationship healthy if you know more about how it works. It will also benefit you to know what makes your partner’s lizard react. The goal is to understand and accept not to cast blame. The best way to stay non-reactive and non-blaming is to think like a lizard! Lizard Logic: SAFE or UNSAFE? The Reptile Brain has only two gears: SAFE and UNSAFE. When it is safe, it lets the other parts of your brain run the show and allows you to make choices that may be good for you in the long term. When it is unsafe, it will steer you into one of three behaviors: Flee, freeze, or fight. 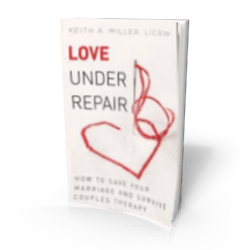 There are probably hundreds of ways that these behaviors are manifest in a relationship, and I will outline a few of them later. You can easily identify a lizard in unsafe mode by noticing the behaviors. Many times each second your lizard asks the question “Am I safe?” If the answer is yes, then the rest of your brain operates in a relaxed mode. When it is relaxed, you can freely integrate information across brain hemispheres and regions to be creative, feel a range of feelings, and do what all animals do when they feel safe: play and mate. It is easy to be in relationship with someone if their lizard is relaxed. The lizard brain doesn’t really interact with the outside world, so it doesn’t decide by itself whether to be in SAFE or UNSAFE mode. It sort of sits and looks at other parts of the brain which processes information from the world. The Primate Brain is sometimes called the associational cortex, since it makes complex associations between various memories and experiences and then allows you to think ahead. Imagination is your cortex doing its associational thing. Your lizard looks in on your cortex’s imaginings and often reacts to them as if they are real. A good example of this is when you are dreaming. During a dream your brain is doing only associational activity without any connection to the real world outside. Your lizard reacts to a nightmare, increases your heart rate, and gives you sweaty palms. My wife can say “Are you going to work on writing that lizard article now?” and my cortex has made the imagination that she means “you don’t spend enough time with me.” Only a millisecond has elapsed and my lizard opens its eyelid with a start because it senses danger. In the next millisecond, it will apply the next two rules. The Reptilian Brain is developmentally the oldest since it is fully functional while we are still in the womb. As the oldest part of our brain it is like a well worn road that develops a deep groove. Information courses on and off this efficient pathway at lightening speeds with little impediment compared to the complex interconnections of the cortex. This kind of biological design makes it very easy for you to react. It takes less than a second for your body to go from fully relaxed to fully defensive. Stress chemicals like adrenaline go into your bloodstream. It takes more than twenty minutes for these chemicals to be fully reabsorbed so you feel relaxed again. Keep this in mind if you like to insist that your partner talk to you when their lizard has clearly been activated. Ask to talk when the lizard is gone. Lizards apparently can’t tell time. Your lizard reacts to old memories as if they are happening right now. Sometimes this reaction happens without you even knowing it because of how memory works. This is a useful design to ensure that you are more sensitive to dangerous things if you had a painful experience from it. Your lizard remembers what your cortex has long ago discarded (or never had awareness of in the first place) as irrelevant information. This is called implicit memory. The more you have experienced intense fear, helplessness, or terror, the more these implicit memories will seem like they happened yesterday to the lizard. Keep in mind that your adult mind defines fear, helplessness, and terror much differently than your mind when you were a child of six. The unconscious parts of your brain-especially your lizard and limbic system-hold a vast amount of memory and therefore influence how you react to things in the present. The bottom line is that your lizard’s implicit memory cannot tell if an event happened twenty years ago or if it is happening now. That’s enough about lizard logic. Earlier I mentioned there are three ways a lizard reacts to protect itself. It is good for you to know the lizard behaviors when you see them (in you or others). The lizard behaviors are freeze, flee and fight. When you see these behaviors, you can use your cortex to do safer things repeatedly (lizards learn only by repetition). Using your cortex to calm your own lizard is called cortical override. Cortical override is very good if you want a long, stable relationship. In relationships, think of freezing as “trying to make others think you aren’t there.” There are all kinds of ways the reptilian brain gets humans to do this. The most common seems to be when someone is physically present but emotionally shut down. Remember that if the lizard is telling the brain to do the freeze behavior, it may happen outside the awareness of the person (so getting upset with him/her is not a good first response). It may even be so typical for some people to freeze that it becomes part of their personality (this is another article altogether). Sarcasm and humor are ways of communicating a message and then disappearing. The sarcastic person only has to say, “I was only kidding, lighten up,” and they have vanished. The lizard defends the person from taking direct responsibility by freezing. Somewhere the lizard learned that taking responsibility, telling the truth more directly, leads to bad consequences. Whatever the bad consequences, when the lizard gets activated it acts like it is a life or death situation, and freezes into sarcasm. Paradoxically, humor–the ability to laugh–may be a sign of a relaxed lizard. It just depends on the person and context. Ignoring questions is also a way of freezing because it is as if the person is saying “I’m not here so there’s no reason for me to respond.” If the person doesn’t go so far as to ignore other people, he or she might say “I don’t know,” which, (if it is not true), is freezing. Any kind of lying is the lizard doing its job to keep the person safe because telling the truth is not safe enough. We lie by saying something untrue or by not saying something that someone else would have expected us to say. People don’t lie when it is safe to tell the truth. The lizard thinks it will be killed if it tells the truth-this makes sense to the lizard. The person doesn’t usually think of it in these terms, but if you do, you can try to make it safe enough to tell the truth. It is not wise to chase a lizard if you want to stop it from running in the first place. The lizard is running for a reason-because it is not safe. Yet there is something paradoxical about chasing a lizard which I think is the reason that people pursue their partner’s fleeing lizard. With practice (and couples have years of practice) you can catch a lizard. When you catch it, it freezes-stops running. The pursuer thinks, “It worked! I got my partner to stop fleeing.” This is very tempting, but it is a mistake. The moment the imminent threat is gone, the freezing reverts back to fleeing, and the pattern repeats but gets more entrenched each time. If your partner’s lizard knows it won’t be chased, it will stop running. It may even want to move closer to you if it feels safe. This takes lots and lots of time. The reptilian response to fight takes many forms in relationship as well. Unlike the other forms of lizard behavior, fighting is one person doing something that will intentionally cause pain or distress in the other. This often looks like one person blaming, criticizing, yelling, or being physically aggressive. There are too many ways of fighting to name. Just remember that fighting always makes sense to the lizard which is trying to protect itself. If the lizard doesn’t feel threatened, it stops fighting. This also takes time. In summary, never try to force a lizard to go away. It won’t work. If you force the lizard to submit, it remembers. Then it will need even more safe behaviors before that experience of unsafety via submission is relaxed. Only safe behaviors will relax the reactive lizard. What are safe behaviors? Whole books have been written about this question, and I recommend reading How to Improve Your Relationship Without Talking About It by Steven Stosney and Pat Love. 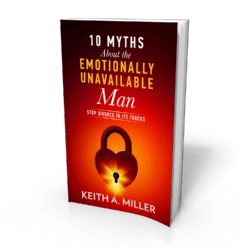 The book gives excellent detail and research about how, generally speaking, safe behaviors for men are non-shaming behaviors, and safe behaviors for women are non-fear-inducing behaviors. The goal is to avoid making requests for change from your partner until you know you are really talking with a person’s neocortex, not the lizard. You have to use your neocortex to do this. The best way I know how to calm my own lizard when I encounter my partner’s lizard is to use a skill called Dialogue. Dialogue is has one component called mirroring, that is a form of active listening. It takes practice (remember, lizards learn from repetition). Mirroring gives your cortex a task (mirror my partner’s words without adding my own meaning or interpretation) and by so doing, the cortex stays integrated (over-riding) the lizard’s primative reaction. When you adopt dialogue and mirroring as a couple, you multiply your gains. If you can predict from experience that your partner will be taking responsibility for their lizard by mirroring you when he/she feels reactive, you can relax (self-sooth) with the belief that you are safe, you can trust your partner to give you what you are giving your partner (full attention and respect). If you already think you are a good listener, don’t assume you will get lizard-taming results without the mirroring concept. The mirroring skill gets royally pre-judged as too simple and awkward to do much good. It’s actually a fascinating example of how the cortex (which makes the value judgment “dialogue isn’t for me”) has an entirely different perception than the reptilian complex, which, after practicing the skill, frequently prompts people to say they feel really calm. I hope this helps you. It has helped me to use this lens to respond constructively to behaviors that otherwise seem crazy to me. I tried to keep a complex topic simple but could write a lot more. Let me know how it goes for you. Hendrix, H. (2001). Getting the Love You Want. Owl Publishing. Siegel, D. (1999). The Developing Mind: Toward a Neurobiology of Interpersonal Experience. The Guildford Press. Schacter, D. L. (1987). Implicit memory: History and current status. Journal of Experimental Psychology: Learning, Memory, and Cognition, 13, 501-518.